Simple and easy interface that is designed to run silently in the background. It has an IKS (Internet Kill Switch) that is very handy on the occasional instance things go down. The tech support team is responsive and helpful. This seems to be common with similar software - it is very sensitive to anti-virus and firewalls causing it to loose login credentials. Hopefully newer releases will address this sensitivity. Support was helpful in showing some workarounds, increasing uptime from a day to often about a week long. Ordering products from other countries is made much easier when you can impersonate those countries. "Ivacy - The best VPN of this price "
One of the main advantages of Ivacy VPN is the lack of logs, so I can browse the Internet without fear. IvacyVPN Works on all major platforms, so we can also take care of privacy on mobile devices. IVacy VPN is easy to install and use. It can be used by both newcomers and experienced users. The advantage is also the very low price competition and very fast servers. One of the main drawbacks of Ivacy VPN is, the location is located in a Singapur (Five Eyes). And the poor level of live chat I didn't get an answer to the technical questions. Thanks to using Ivacy, I was able to use the Internet in any place without worrying about the leakage of my IP address. "I see that it's the best regarding the price and the duration"
when I was using free/trial version I had issues in connecting my device to the servers, and sometimes the program was keep trying to connect for like 4-5 times in order to connect to a server, also it consumes a lot of my ram storage, however this wasn't a real problem. also, sometimes it take a bit long to start. "Simple cheap and reliable VPN service"
Ivacy supports Netflix streaming from the US and keeps the servers working better than most VPNs I've tried in the past. Speed can be a little slow sometimes, but for the most part it's good. Ivacy gets the job done, is reliable and cheap and for the most part just gets out of the way. It works and let's you focus on what you're doing. Sometime's I even forget it's still connected! "Great VPN with awesome support"
As a Linux user, we do not have a dedicated application to run on our OS, so we need to manually set up VPN connection. 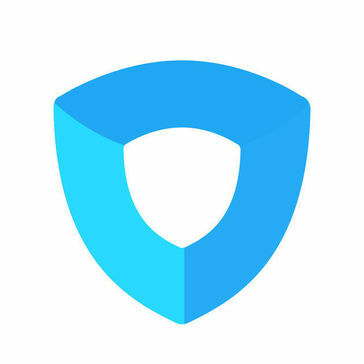 Great VPN with awesome support. * We monitor all Ivacy reviews to prevent fraudulent reviews and keep review quality high. We do not post reviews by company employees or direct competitors. Validated reviews require the user to submit a screenshot of the product containing their user ID, in order to verify a user is an actual user of the product. Hi there! Are you looking to implement a solution like Ivacy?